The Cult Gaia “Ark” bag debuted in 2013, and became incredibly popular through Instagram. There was once a time when scrolling through an Instagram feed full of influencers was the equivalent of people watching in a fashion-forward district. Global fashion search platform Lyst even found that a particular “Instagram style” existed, when it published a “Year in Fashion” report last year that tracked more than 100 million searches on its site. Under a section devoted to “Instagram fashion” were the items that every fashion influencer seemed to own in 2017: the Gucci logo T-shirt, the Cult Gaia “Ark” bag, and the RE/DONE patchwork jeans, just to name a few. “Cult” fashion items on Instagram were like that of a characteristic style of a particular geographic region. But it’s becoming increasingly evident that Instagram is beginning to cover more ground. With the launch of the native shopping feature, the social media platform is taking precedence over other style inspiration outlets, and it’s simultaneously becoming a marketplace, too. 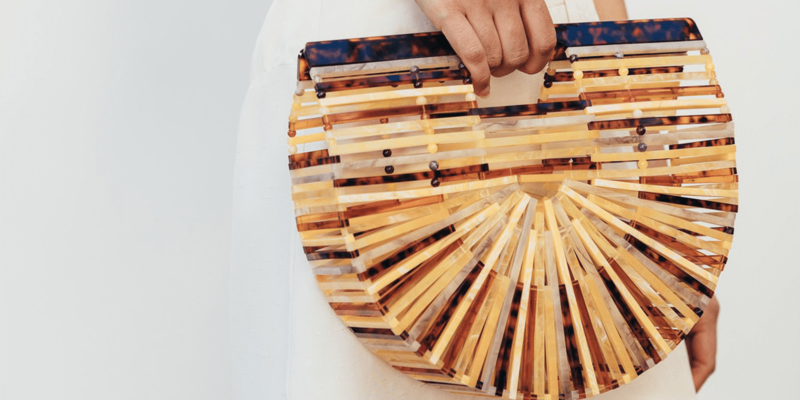 According to Jasmin Larian Hekmat, the designer behind the Instagram “It” accessory, the Cult Gaia “Ark” bag, it was the function of Instagram as a photo-centric platform that allowed it to gain such popularity, not a strict marketing plan. But along with the cult item comes a sense of exclusivity. Either the item turns out to be expensive, or in the case of a celebrity, the source of the item might not be revealed. Apps like LIKEtoKNOW.it tried to alleviate this problem, providing a pathway between influencer fashion items and the stores where they purchased them. Influencers had to apply to be a member, and after a selective process, they were able to tag @liketoknowit in their captions. When a follower took a screenshot of the tagged photo, they were sent to the LIKEtoKNOW.it app, which featured all the items in the shot and the links to the stores in which they were sold. However, the new shoppable post feature on Instagram put LIKEtoKNOW.it under fire as users can now discover items on Instagram and buy them without ever leaving the app. Instagram, then, is opening itself even more to the world of ecommerce. Choosy, a new brand launching on July 24, will pose a challenge to this feature, taking the “cult item” and placing it on an even wider scale. Choosy is an on-demand social shopping platform that features affordable collections inspired by the most in-demand styles and silhouettes on social media. While browsing on Instagram, users tag looks that they like with the tag #GetChoosy. Choosy’s team of Style Scouts will work together with AI technology to identify the top looks, as well as track comments such as “Where can I buy this?” The most popular items will be available on the Choosy website within 48 hours. The company’s agile supply chain, including both an in-house design team and manufacturing facilities, allows for the production of those looks and delivery in as little as two weeks. Choosy will release 10 styles a week, in sizes 0 to 20, and everything will cost less than $100. The brand plans to shoot an educational video to show exactly how the process works. In addition to content campaigns, Choosy will also be spreading the word on social media through paid advertisements. Unlike LIKEtoKNOW.it, Choosy is its own fashion label. And it’s a fashion label that will release collections with a constantly shifting theme, completely dependent on shoppers’ desires.